Queen Margaret University traces its origins back to 1875 with the opening of the Edinburgh School of Cookery. This little book, which is part of QMU's archive, was first published in 1879 and reflects one of the core aspirations of the founders of the School, to improve the diet and health of the urban poor. 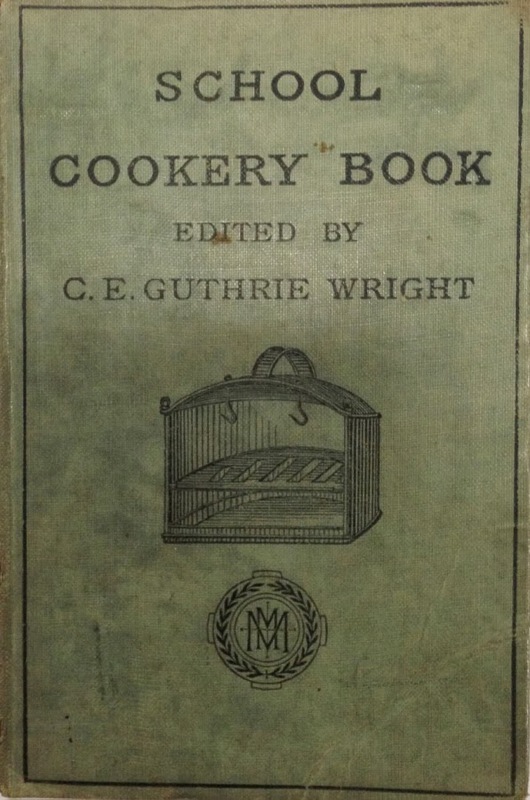 ‘The School Cookery Book’ sets out ‘All that is necessary to give clear knowledge of the theory and practice of good economical cooking" Written by Christian Guthrie Wright in collaboration with the scientist Sir Thomas Dyke Acland and two "distinguished medical doctors" (probably Dr Henry Littlejohn - Edinburgh's first Medical Officer of Health - and Dr Alexander Wood) it reflected the most advanced level of scientific knowledge of diet and nutrition at the time, presented in simple, accessible language. Published by Macmillan it formed part of the Science Primers series which came under the general editorship of the celebrated naturalist Professor T.H. Huxley. 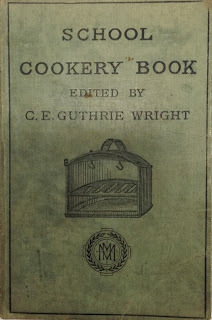 The 158-page volume gives an introduction to the theory of cookery, selection of food and materials and sets out a range of recipes and cooking techniques in straightforward practical terms. 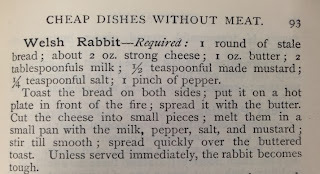 Although to a modern day reader, some of the recipe titles can be deceptive; chapter XVI entitled entries for Goose Pudding a‘Cheap Dishes Without Meat’ contains Welsh Rabbit. The book was an immense success, selling 3738 copies in its first year. 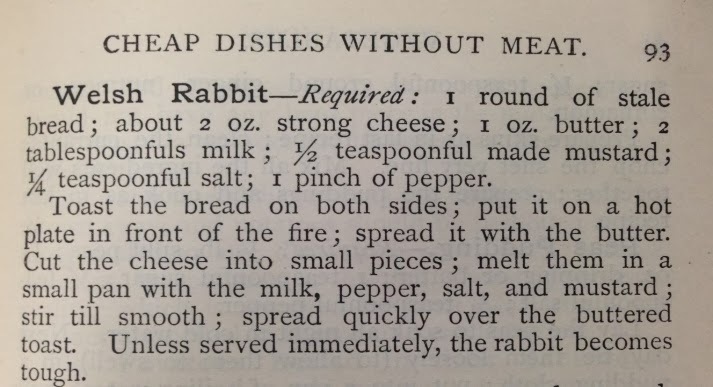 It ran into many editions and was the basis of subsequent cookery texts produced by the School. If you would like to see more information on the founding of The Edinburgh School of Cookery, please visit the exhibition case on the ground floor of the campus.